India likes to trumpet its corporate successes, and this week the emerging global power had plenty to shout about with the appointment of Indian-born Vikram Pandit to head troubled financial giant Citigroup. But even as it celebrated, India Inc. was also up in arms over perceived slights to its ability to run two of the world's most prestigious brands. First, a group of U.S. Jaguar dealers said they opposed the possibility that Ford, Jaguar's owner, might sell the British luxury car brand to an Indian firm. Two of the three firms that Ford has shortlisted as potential purchasers are Indian: Mahindra & Mahindra and Tata Motors. The dealers said that the sale to an Indian company would hurt Jaguar's image. "I don't believe the U.S. public is ready for ownership out of India of a luxury car make," Ken Gorin, chairman of the Jaguar Business Operations Council, told the Wall Street Journal. "And I believe it would severely throw a tremendous cast of doubt over the viability of the brand." A few days later Indian Hotels, which owns the luxury Taj hotel chain and is itself a branch of the Tata empire, was told its overtures to New York Stock Exchange-listed luxury hotel and cruise firm Orient-Express were unwelcome  and potentially damaging. Indian Hotels recently upped its stake in Orient-Express to 11.5%. But Orient-Express CEO Paul White, in a letter to Indian Hotels Vice-Chairman R. K. Krishna Kumar, wrote that "any association of our luxury brands and properties with your brands and properties would result in a reduction of our brands and of our business and would likely lead to erosion." Indian Hotels' Kumar told TIME that his first reaction upon receiving the letter "was that Paul White could not possibly have drafted [it]... I came to the conclusion that the person who drafted this letter needs counseling." Indian Hotels, he said, had proposed a friendly partnership in which each company would take an equity stake in the other, share expertise but remain independent. "At no time did we moot the the idea of a merger," Kumar says. White's letter, he says, "will go down as one of the most uncivilized exchanges of views between two companies in the 21st century." Its sentiments, Kumar says, reflect "an era that is now prehistoric." Many Indians shared Kumar's sense of outrage. Commerce and industry minister Kamal Nath warned that, "There cannot be any discrimination against outward investment from India." In an era of globalization, he said, "trade and investment [is] a two-way street." Industrialist Venugopal Dhoot, who heads the Associated Chambers of Commerce and Industry of India, told the Press Trust of India that Orient-Express had shown "arrogance toward one of India's most respected business houses." The discriminatory tone of Orient-Express's letter was "close to racism, barely camouflaged in the language of branding," opined an angry editorial (entitled "Racism Can't Halt Indian Takeovers") in India's Economic Times. The days of "white supremacy are disappearing rapidly, and white brand value with it," the piece went on. "When Arab financiers are needed to rescue Citigroup, notions of white cachet seem ludicrous." 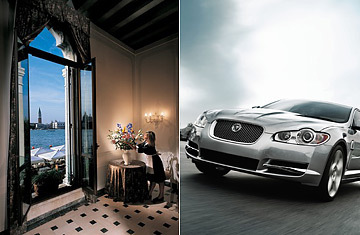 Both Orient-Express and Jaguar's Gorin emphasize that their judgments were based on business strategy alone. Gorin told the Wall Street Journal that his sentiments also applied to a Chinese company buying Jaguar and should not be read as a judgment on Mahindra or Tata's management abilities. "My concern is perception," he said. "And perception is reality." Pippa Isbell, an Orient-Express spokesperson, says that "our letter was purely based on business rationale." Orient-Express, she says, owns properties around the world, and the company's decision to decline a closer relationship with Indian Hotels "is not related to the fact that the company is Indian but is based entirely on the rationale that their dominant business in India is not a strategic fit with our business." To be sure, the image of a luxury brand requires delicate and careful grooming. And while Tata and other Indian manufacturers could soon be world beaters in producing ultra cheap cars, their track record in running a luxury auto brand is untested. At the same time, however, America's Ford has not exactly made a great success of Jaguar over the past few years: that's one reason the company is selling it. And when it comes to hotels, the Taj chain owns, among its wide range of properties, some of the most luxurious hotels in the world. It is also expanding: in the past few years it has snapped up properties in Boston, Manhattan and San Francisco. "It would be very easy for us to make an open offer [for Orient-Express]," says Kumar. "Except for our own restraint." Indeed, if history is any guide, Indian companies take rebuttal as a challenge. When British-based Indian-born businessman Lakshmi Mittal first bid for French steel maker Arcelor last year, the company's French CEO said he was horrified by the idea of an Indian taking over, likening Mittal Steel to eau de Cologne and Arcelor to perfume. Within months, Mittal had won out. A century earlier, when Tata founder Jamsetji Tata suggested making steel for the colonial railway system, a British administrator dismissed the idea with barely concealed contempt. Earlier this year, Tata paid almost $14 billion to buy Corus, British Steel's successor. The moral of that story is not lost on India's corporate captains. They say that Western companies had better get used to the idea of Indians taking over.